Dirksen, Everett McKinley. 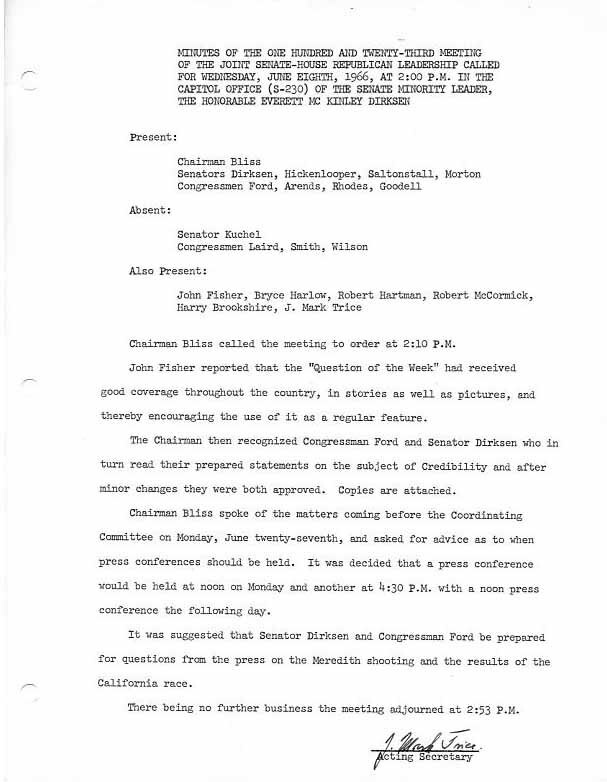 "Minutes of the 123rd meeting of the Joint Senate-House Republican Leadership." Everett McKinley Dirksen Congressional Leadership Research Center. Accessed 19 April 2019. http://acsc.lib.udel.edu/items/show/14.